Donegal woman Chloe Magee and her brothers Sam and Joshua were beaten in their doubles finals at the Irish Open. European Games bronze medallists Sam and Joshua were edged out 21-15 6-21 21-10 by Scotland's Alexander Dunn and Adam Hall in the men's doubles decider. Chloe and Sam lost the mixed final 21-16 21-13 against England's Gregory Mairs and Jenny Moore. Ireland's Nhat Nguyen was beaten 21-19 21-11 by Germany's Alexander Roovers in the men's singles final in Dublin. Seventeen-year-old Nguyen won the Welsh International title last week. Denmark's Anna Thea Madsen won the women's singles title by beating Dutch player Soraya de Visch Eijbergen 21-13 21-13 in the final while French pair Emilie Lefel and Anne Tran defeated England's Jenny Moore and Victoria Williams 21-16 21-12 in the women's doubles decider. 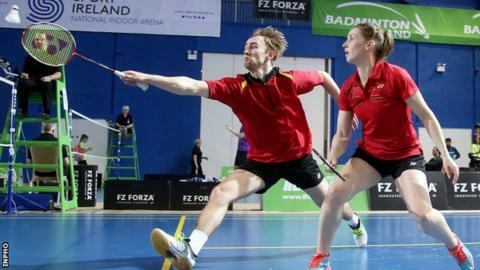 Earlier this year, Chloe and Sam won Ireland's first ever European Badminton Championship medal as they clinched mixed bronze. This week's tournament took place at the National Indoor Arena.